Walking historical, cultural and food tour! Our Street Food Tour takes you through the bustling and vibrant streets of Medellin, tasting delicious food while showing you cultural and historical sights along the way. 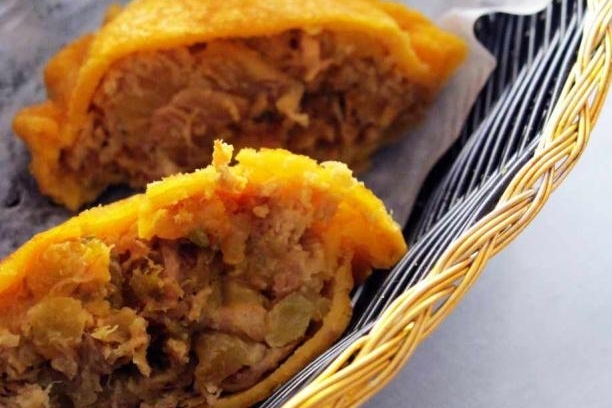 You will experience traditional treats such as empanadas and arepas and unique dishes such as Chicharrones and the famous bandeja paisa. 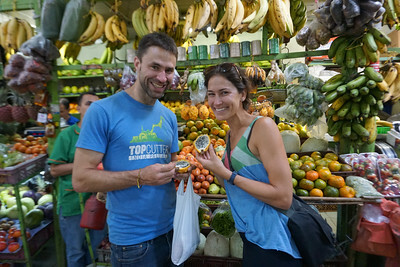 We'll also explore a colorful neighborhood market and try the exotic and mouthwatering fruits that are only found here in Colombia. An exclusive and delicious progressive dinner. Let us give you an exclusive glimpse into the best food this city has to offer. Our Foodie Dream Tour takes you to some of Medellín's top restaurants where you can sample the next generation of succulent Latin flavors. In addition to the incredible cuisine, our tour includes an in-depth discussion of local flavors and ingredients while chatting with our food expert and some of Medellín's finest chefs. We visit several enticing spots to taste a variety of the succulent dishes available, paired with our suggested cocktail, wine or beer. The tour ends near Medellín's hottest neighborhood, where the rhythms may just move you to dance the night away! We offer our Foodie Dream Tour for groups of four or more. We would be happy to coordinate an experience for your group. Just send us a message at tours@delamesa.com! The perfect blend of Colombian coffee and history. Colombia is known across the globe for its superb coffee, and Medellín is perched on the edge of coffee heaven! Our Colombian Coffee Crawl takes you on a tour of unique cafes to explore coffee philosophy and history. We will sip and chat about the origins of coffee, different ways to process beans, and the incredible impact this bean has had on the country. We also compare different brewing techniques and roasts while tasting premium quality Colombian coffee - paired with a few typical breakfast bites to tide you over. Our tour route will take us through the beautiful Poblado neighborhood, and leave you feeling buzzed and excited to discover more coffee culture in Colombia. 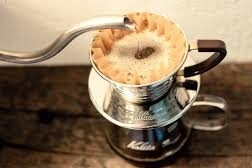 We offer our Coffee Crawl for groups of four or more. We would be happy to coordinate a tour for your group.